Located in the hills of South East Tennessee just North of Chattanooga. We specialize in breeding quality German Shepherds and raising German Shepherd puppies with working backgrounds -- excellent for family pets, personal protection, and working situations. We often use imported lines (Schutzhund). We have been raising German Shepherds in the Southeast for over 12 years now, and many of our pups can be found in Georgia, Alabama, Florida, Kentucky, Mississippi, Texas, North and South Carolina, and even Pennsylvania to name a few. All of our German Shepherd puppies and dogs receive a full veterinary inspection, including hip and elbow screening, are microchipped, and current on all vaccines. All of our dogs are AKC registered as well. 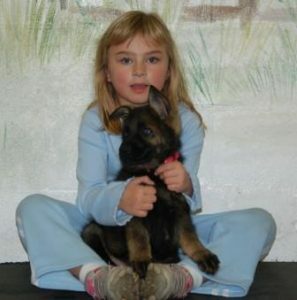 Our German Shepherd puppies are specifically bred for their orthopedic quality and sound temperaments. German Shepherds make excellent protection dogs without the aggressive tendencies you find with other breeds. They are highly intelligent with the ability to interact on a higher level with the household. Once you have had one, no other breed quite measures up! If you should decide to purchase a Sequoyah German Shepherd, you will be purchasing an investment in your future. We will continue to follow up with you even after the sale. We are as concerned about your happiness with one of our pups as we are about their safety and well-being. We will be available day or night to help with any concerns or problems that may arise. Feel free to read over our Health Guarantee Hip and elbow guarantee (on both our GSD puppies and adults), Puppy Placement policies, our temperament testing protocol, and our Contract. We will be glad to answer any questions that you might have. 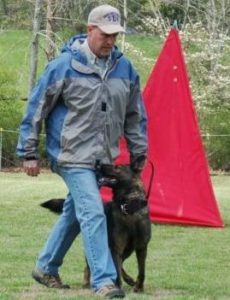 Here at Sequoyah German Shepherds we realize that Obedience Training is one of the best things you can do for your dog or puppy...and yourself. We know that well trained dogs are happier dogs. Dogs who know the "rules" get to go more places, participate in more activities and bond better with their owners. We, ourselves are active members of Service Dogs of America and we strongly encourage that no matter what puppy or dog you invest in, that you also invest the time needed for proper obedience training for your pet. We feel so strongly about training that if you do purchase one of our GSD, we have decided to reward owners that promote this bonding/training time with Achievement Awards (cash back on any puppy/dog that you purchase).